Lana dares to venture into new areas of jewelry design. In these smooth 14K white gold amazing hoops, precious metal threads through the earlobe with the ends crossing each other. 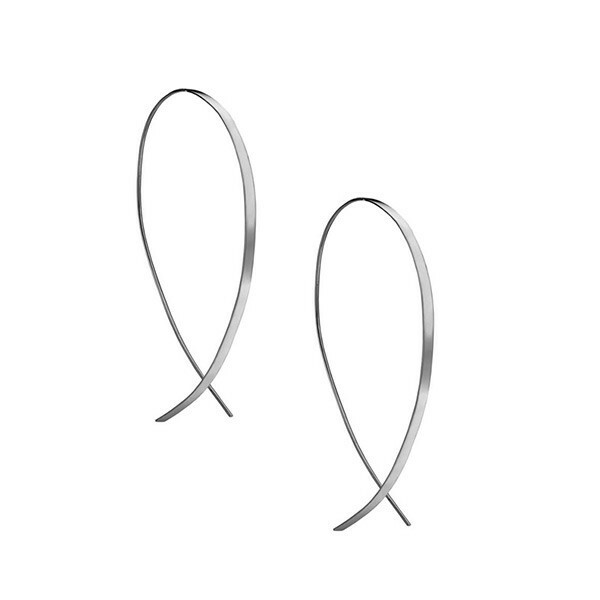 Simple staple hoops earrings just got a thoroughly modern style upgrade with Lana sophistication.